From 01 November to 08 November 2015, Sheraton Towers Singapore will collaborate with Guest Chef Markus Peter Dybwad to present a Norwegian seafood extravaganza using various Marine Stewardship Council (MSC) certified produce. Working with the culinary team at Sheraton Towers Singapore, Chef Markus has specially curated a series of menu for DOMVS, The Italian Restaurant (1-4 Nov) and The Dining Room (5-8 Nov). I am privilege to be given a glimpse of what to expect from the week long Seafood Fete from Norway. 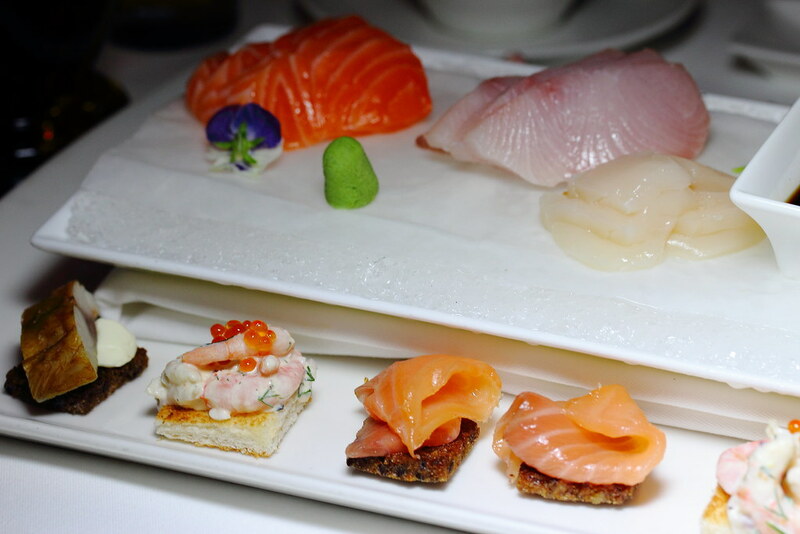 Starting from the The Dining Room, the buffet spread will offer the finest and freshest seafood from the cold, clear waters of Norway, best showcases in the purest Sashimi form. For some light bites, we had a variety of Canapes that once again highlighted the seafood. This is not your ordinary Lobster Bisque. 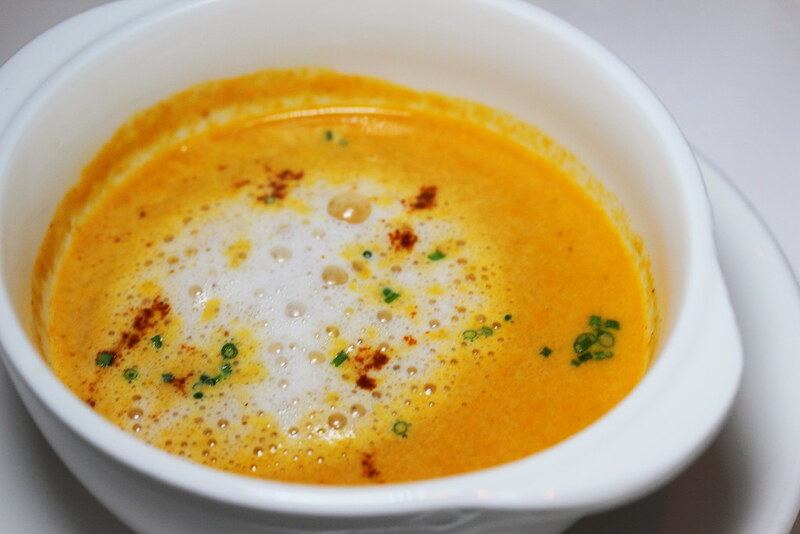 The robust flavour of the lobster bisque is further accentuated with a hint of spiciness. This has set a new benchmark for me. At DOMVS, The Italian Restaurant. Chef Markus has created a 3-course Set Lunch ($52/pax), 5-course Set Dinner ($90/pax) and a White Truffle Wine Dinner ($168/pax). The white truffle wine dinner is only for 4 November 2015. 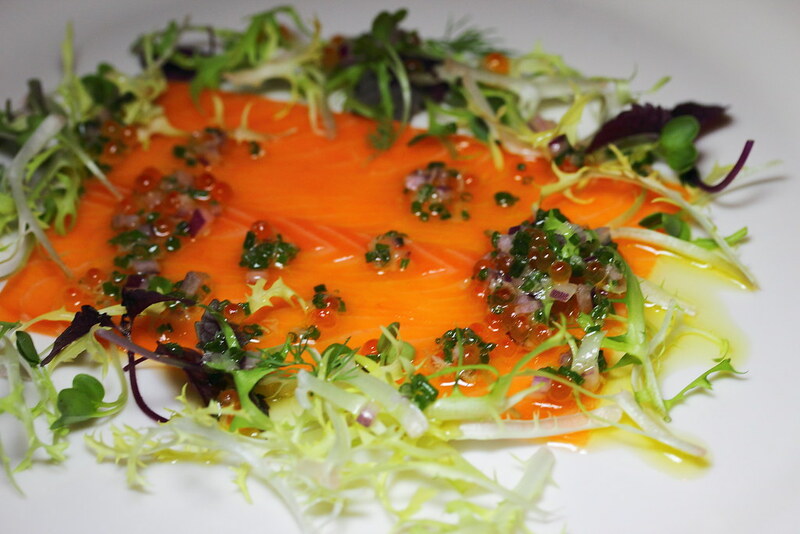 The clean taste of the Salmon Trout Carpaccio, paired with the horseradish and roe was beautiful on the palate with occasion tickling from the heat of the horseradish and popping surprises from the roe. I have mixed views on the Atlantic Cod with Polenta and Sage Jus. 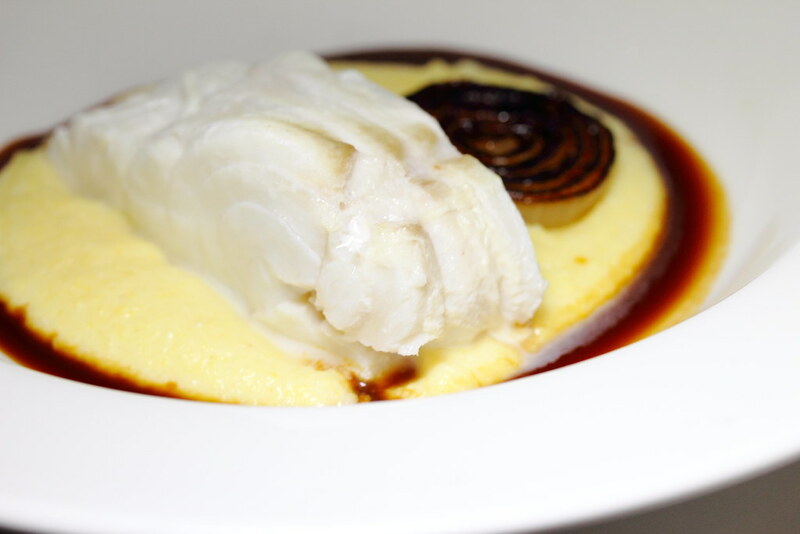 The poached Atlantic cod has an interesting texture that is quite similar to scallop. The whole execution was a bit one dimensional for me. I felt that it needed some tanginess to zest up the dish and bring out the flavour of the fish more. 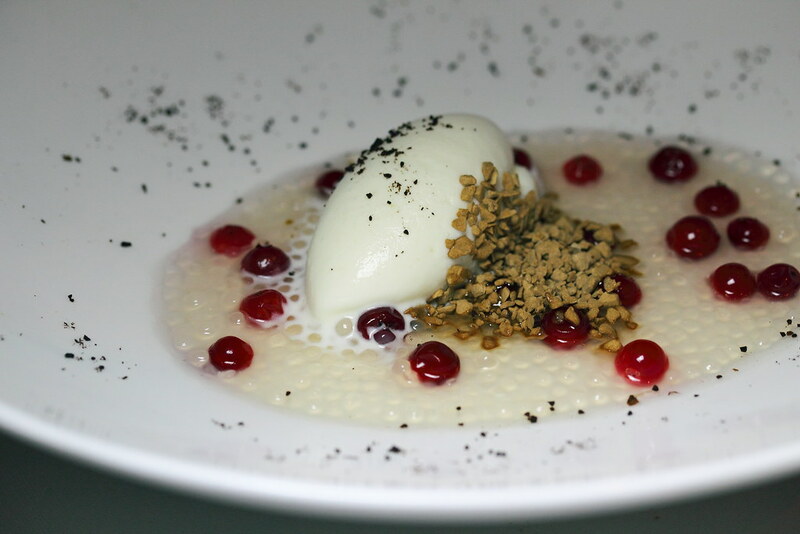 The Panna Cotta with Lingonberry and Sago was the perfect ending for the night. There were so many different textures and flavours at play here. I was already quite full and I was telling myself to just have a scoop or two to try but I ended up cleaning the whole plate. 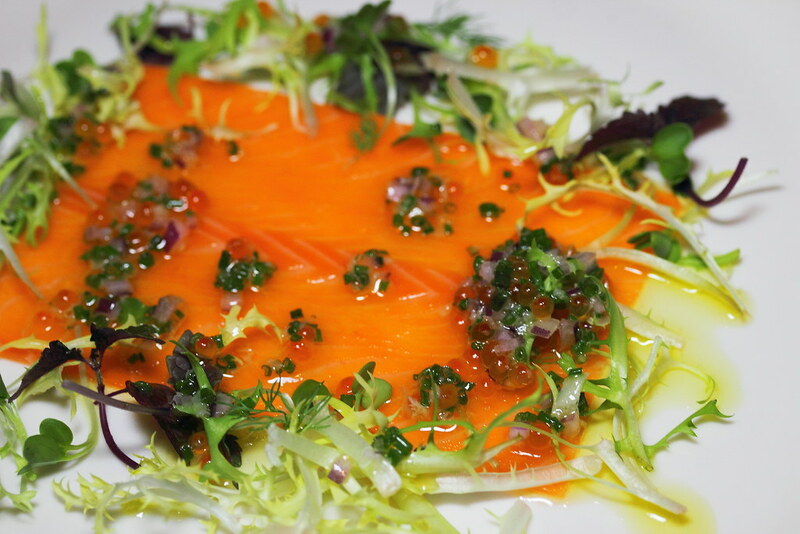 For the first 8 diners to enjoy the Seafood Fete from Norway promotion, Sheraton Towers Singapore is giving away a 500g Norwegian Smoked Salmon each. Terms and Conditions apply.